Our 11 year old son decided we had to have Penny when he saw her wedding video and her song. As Penny said ‘who are we to argue with your clever child?’ Wise words. 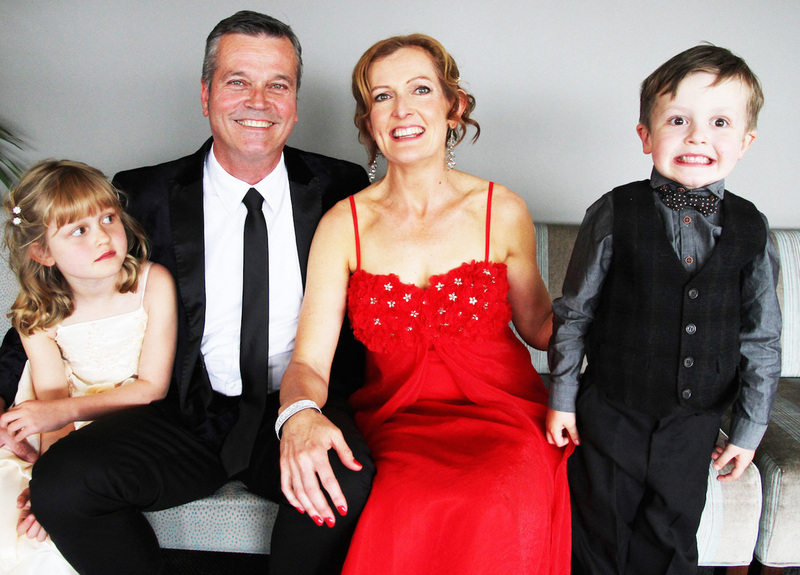 She fitted our bill perfectly – humour and story telling are a big part of our lives and Penny’s approach was perfect. She even perfected a greeting in As Gaeilge (Irish). We loved what she did, and how she worked with us to make it perfect. Everyone has said what a unique and wonderful service it was. The grins were enormous and there wasn’t a dry eye in the house. Even the youth were heard to remark ‘I didn’t know you could do that with a wedding’. Neither did we! Thank you Penny, for a wonderful kick off to married life. Our day was perfect thanks to Penny. It was an intimate celebration of our 35yrs together & marriage in the company of our immediate family in New Zealand. Penny is very engaging & kept everybody engrossed. The half hour zoomed past with the a delightful balance of romance and humour. Penny was totally integral to making our experience memorable & enjoyable. We will never forget our day. Many THANKS Penny! 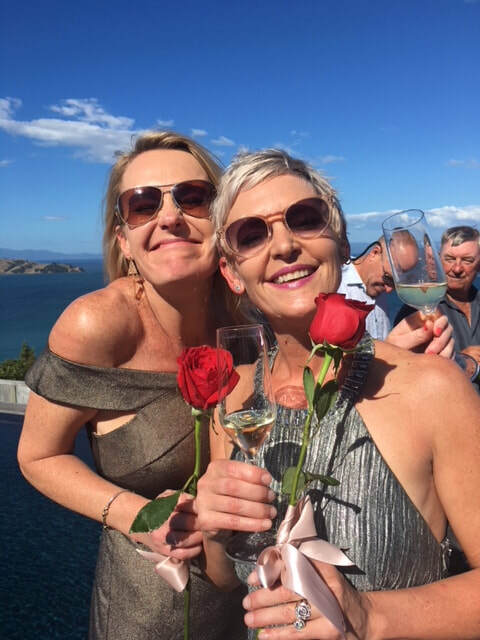 Perth, Western Australia is our home & we couldn’t invite our friends across to NZ so we brought NZ to our home & had a fabulous party in our garden. We played the video of our wedding on a large screen we had set up. 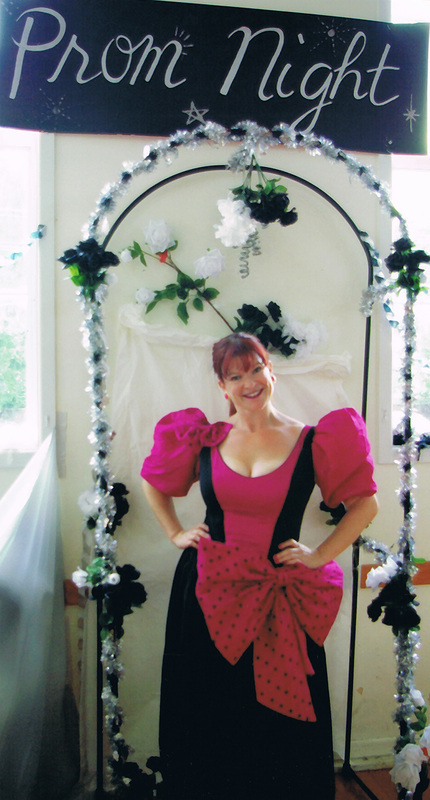 Everybody loved the celebrant - nothing but superlatives - said she was 'absolutely fabulous.' What more can we say about Penny - a hit in NZ & OZ. Well what can we say about Penny... her service was everything we could've hoped for and more! We wanted something personal, and Penny delivered that - a touching, funny service all wrapped up with a whole lot of sass. 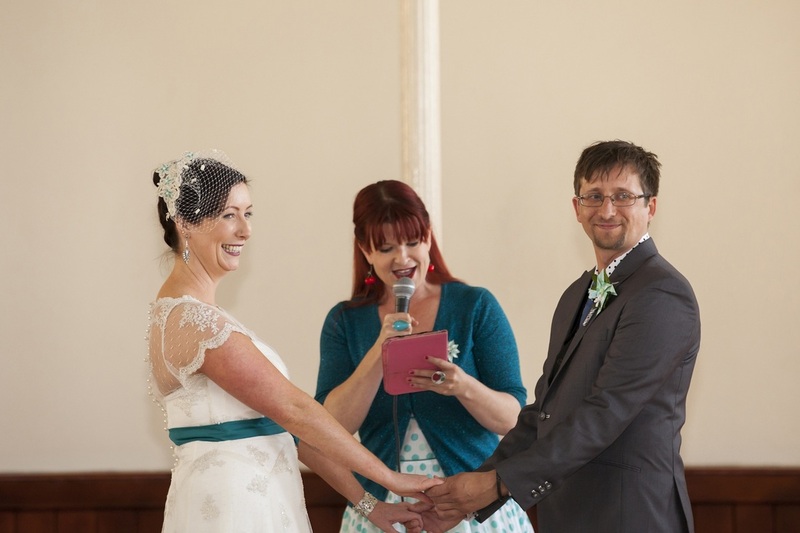 We were inundated with guests saying it was the best service they'd seen, and what an amazing job the celebrant did. We can't recommend Penny highly enough, thank you Penny for doing such a top job for us. 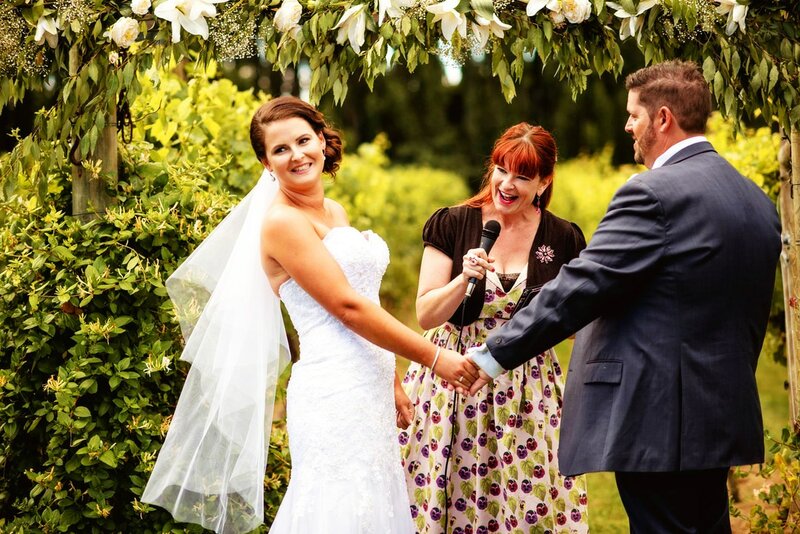 Penny, thank you so much for being our celebrant at Stonyridge Vineyard. You were so warm, vibrant, entertaining, and inclusive of everyone in our group. We loved it that you created a perfect balance of making the ceremony both moving and fun, making our friends cry as well as laugh! Penny was fantastic. She guided us through the ceremony seamlessly with just the the right blend of professionalism and humour. She presented a lovely personal touch in telling our story. We are so grateful to have had Penny as our celebrant. 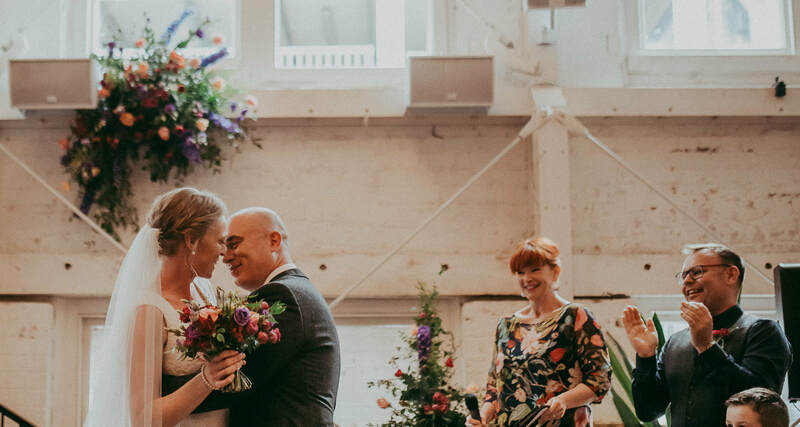 Everybody has been saying it was the best wedding they have ever attended and even the ceremony, which is usually the boring bit, was filled with lots of love and laughter. Penny captured and retold our story beautifully, gaining tears and laughter from everybody. We could not have asked for a more talented and entertaining celebrant, thank you Penny you are one in a million. Penny thought of every question she needed to know about us as a couple and composed a truly unique and entertaining ceremony. We laughed, we cried and laughed till we cried! So many commented that it was the best wedding they had ever been to and that it was personal and hilarious; partners of friends who didn't know us so well said after the ceremony they felt they knew us intimately and asked us if Penny was a personal friend. She gets the essence of who you are and puts it together in a touching yet funny way. Penny went out of her way literally and metaphorically for us. 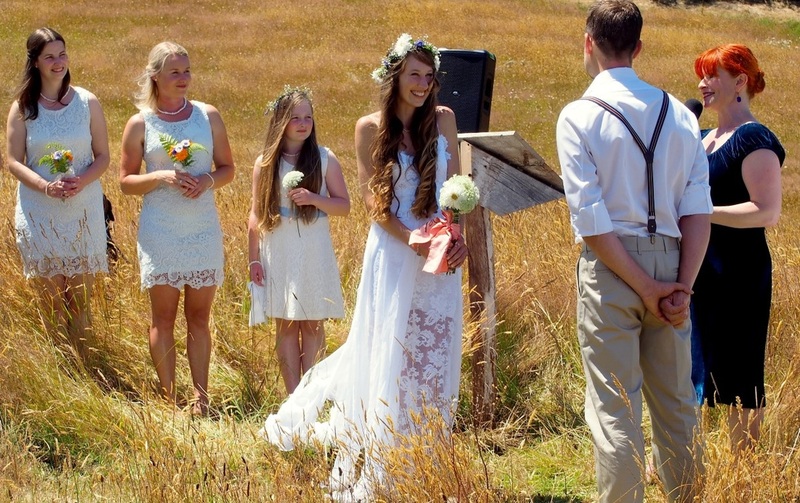 She travelled down to our farm in the whop whops out of Nelson for the ceremony. She is professional, touching and entertaining. We could not recommend her more!!! We never dreamed before getting to the altar that our ceremony could be so moving, personal and funny all at the same time! Penny wrote a story of our relationship that captivated our friends and family and captured so well who we are. At points she had us In tears both with emotion and laughter. We could not have asked for a better experience. It was an absolute pleasure dealing with Penny and I highly, highly recommend her. Penny was our marriage celebrant extraordinaire. 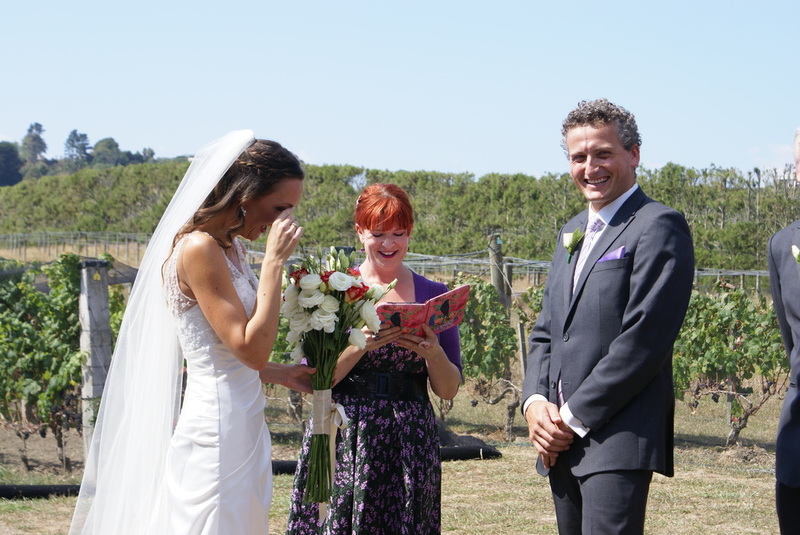 We wanted a celebrant who could tune into our personalities and convey the joy and emotion of the occasion. Penny did just that, adding in a large dollop of humour. People cried and laughed in turns and we’ll never forget the day. Thanks Penny. It was perfect. 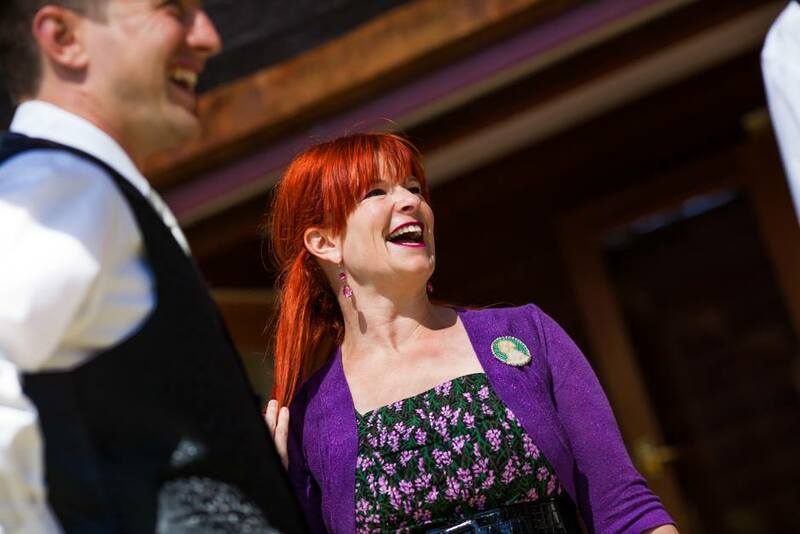 Looking back on our amazing wedding, there is absolutely no-one I can think of who could possibly have matched the warmth, energy, humour and pizazz that Penny brought to the day. She rolled with all our requests for a less than traditional ceremony, nothing was a big deal and all our interactions with her in the lead up to the wedding were friendly and calm- so lovely when you are lost in a sea of stressful wedding stuff! So I can say in all honesty that rarest of reviews: They laughed, they cried, they rose to their feet and cheered. Thank you Penny, I will never be able to recommend you highly enough. 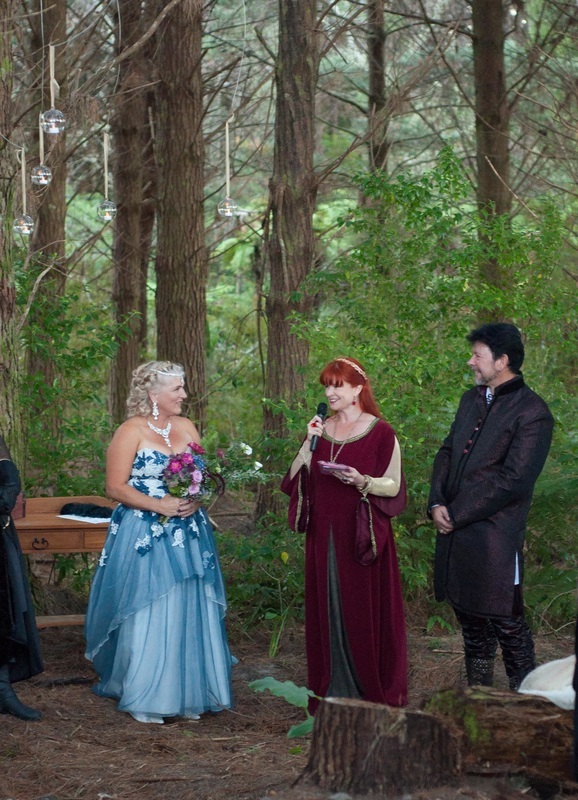 Our wedding was not the standard run of the mill as we had a themed wedding and reception based around 'The Game of Thrones', which was held in a forest. 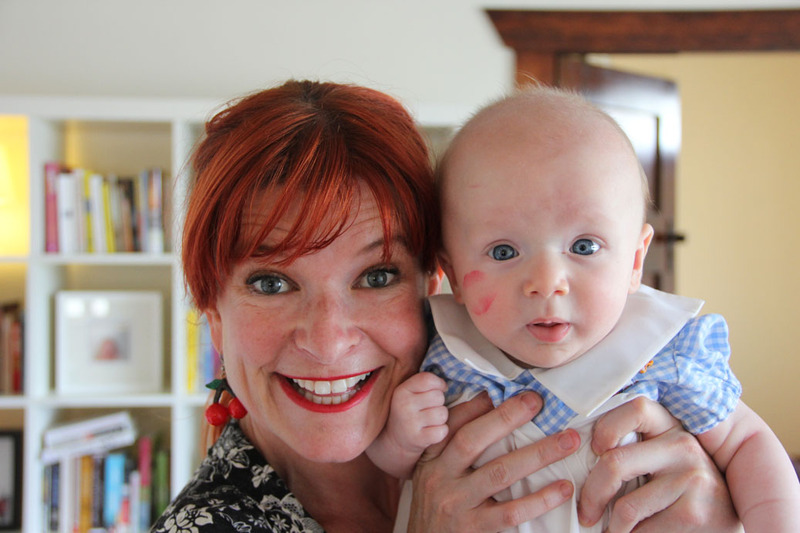 From the moment we met Penny we loved her vibrant personality and her sense of humour. She embraced our ideas with enthusiasm, good hearted laughter and sincerity. Penny gathered information from both of us, as well as family and friends about who we were as individuals, and what we had become as a couple since we met. We found this heartening as she had taken the time to get to know who we really were. We also loved the fact that she included lots of humour. 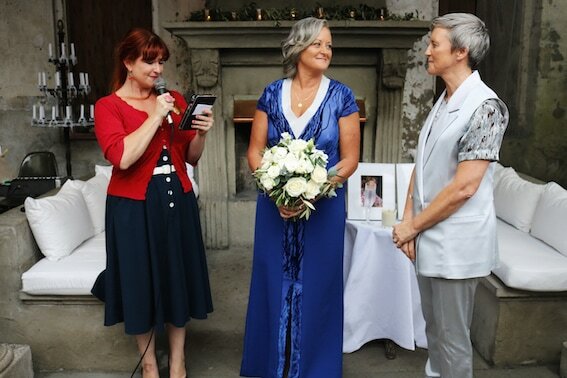 We couldn't have been more thrilled and delighted with having had the opportunity to have had Penny as our celebrant and wouldn't hesitate to recommend her to anyone looking for a vibrant, genuine and sincere lady to officiate at any occasion. Not being a religious couple we were a bit at a loss as to what a non-religious ceremony should look like. We knew we wanted something relaxed and somewhat unconventional but still meaningful. Thankfully this is where Penny stepped in; what she created for us was something individualised, sharing with our guests the story of Gareth and Claire through anecdotes and sentiments she had gathered from us. 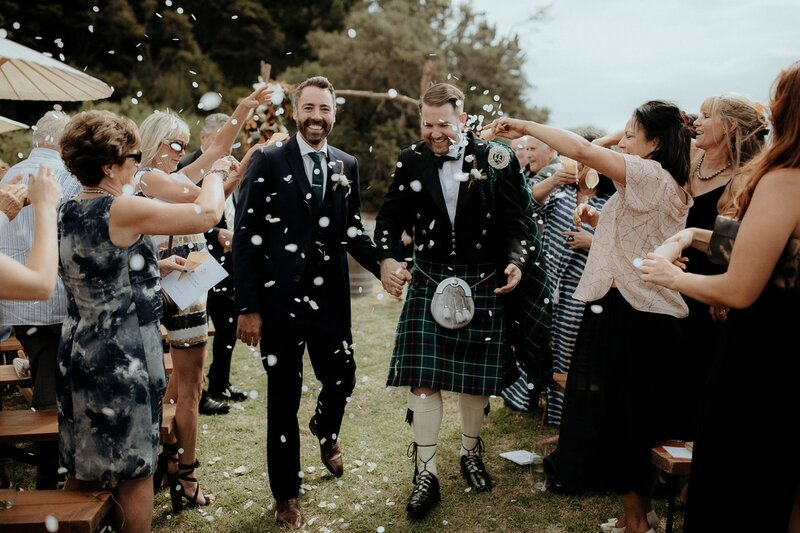 All our guests commented on how much they loved the ceremony; many almost sounded surprised or relieved that they didn’t have to endure the usual wedding formalities but instead found themselves actually enjoying this part of the wedding day for a change! The message we heard most was that it was refreshing and unlike anything they had been to previously. This was just what we wanted, something that was both fun and memorable and yet still was a representation of what we were like as a couple. 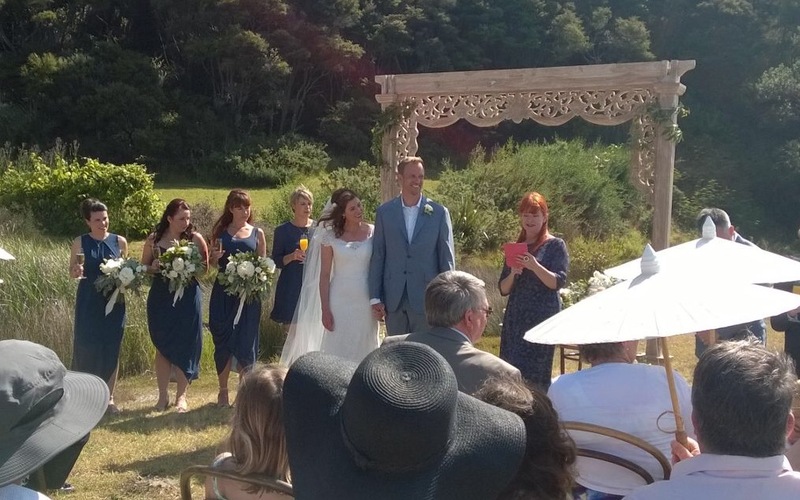 We couldn’t have asked for a more perfect ceremony - this is all thanks to Penny’s sparkle matched with her professionalism as well as simply the sheer effort she puts in to create a uniquely special ceremony for her couples. Thank you Penny; our day would not have been the same without you! Penny commands the audience getting everyone’s attention before presenting a highly personal, humorous yet serious, professional service that leaves the guests thinking she has known us all our lives. Thanks once again for making our wedding day so special. 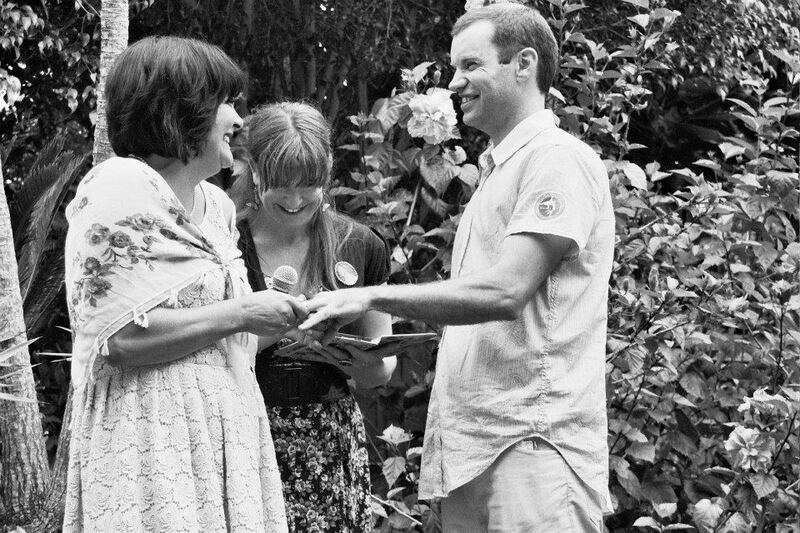 Rob and I had the pleasure of Penny Ashton officiating our Civil Union in 2008. She was amazing then, truly respectful of our backgrounds, those present and gifted in her ability to bring all the vital elements of the ceremony together. Everyone spoke about how wonderful the ceremony was, and how it perfectly suited us as a couple. 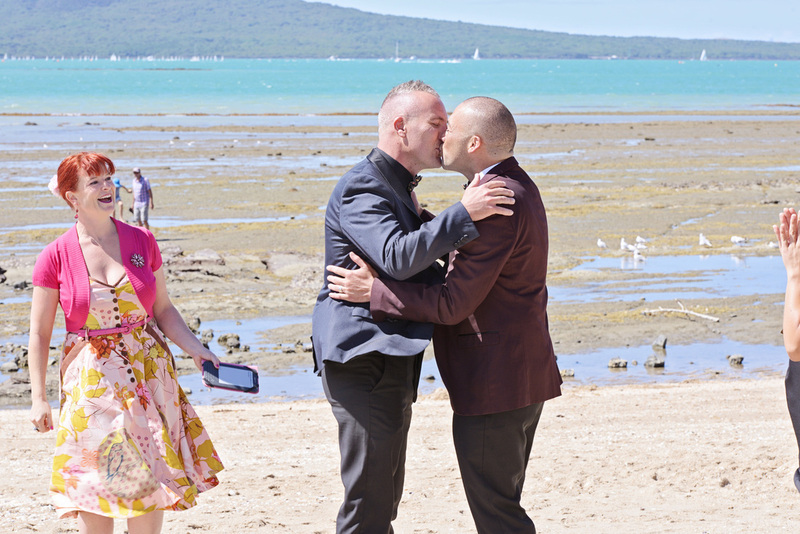 Due to the law change around Marriage Equality, Rob and I chose to covert our Civil Union to a Wedding on the 6th anniversary of our Civil Union. We knew instantly that we had to have Penny officiate. Penny was even better than the first time. She was professional, loving, caring, respectful, humorous, engaging, eloquent and had a perfect understanding of us as a couple and made our ceremony absolutely perfect. 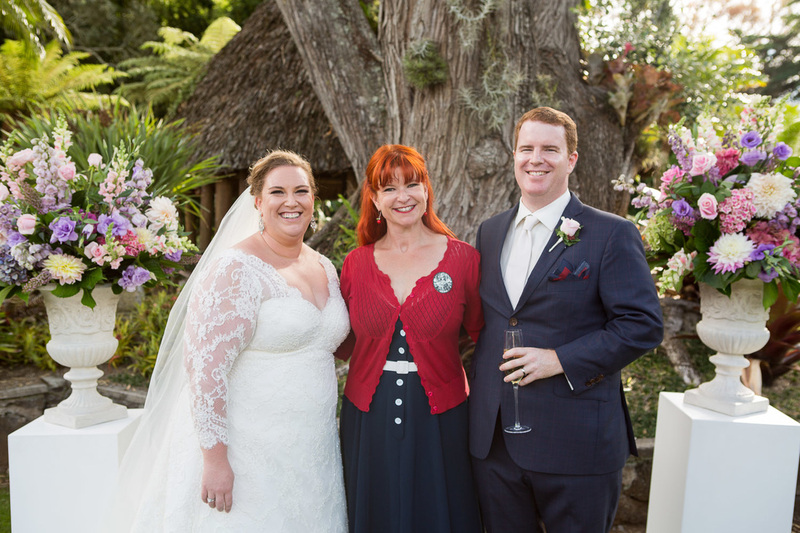 We truly believe that Penny is the best celebrant in Auckland. 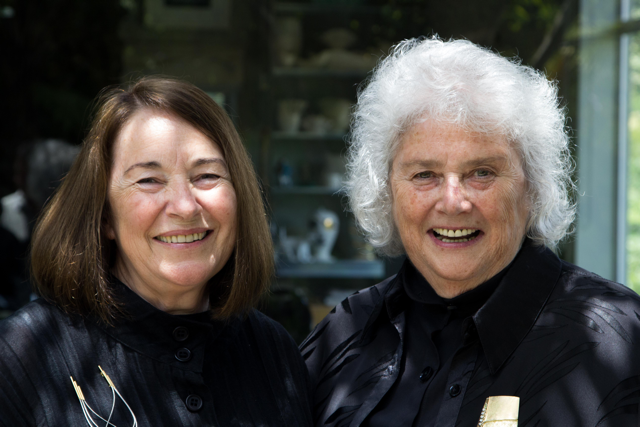 We know how vital a celebrant is to ensuring the day is a success, and Penny is brilliant at this. She truly is a professional. Thank you for the wonderful ceremony. You were truly great! You were extremely professional, warm, cheerful. You personalised our ceremony in a very special way making the day even more unforgettable. 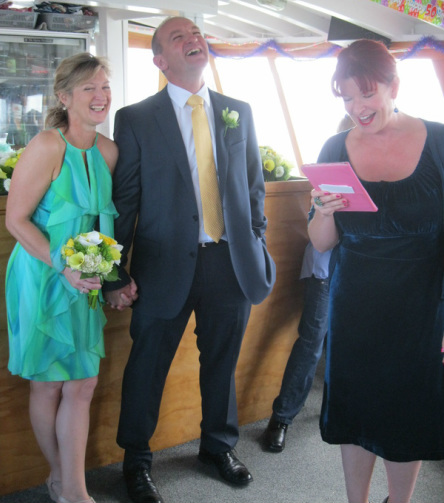 Our guests felt part of the event and all enjoyed it - They are still talking about the hot pink celebrant! Your vibrancy swept us away..."
Thanks for doing such a great job of celebranting Oscar’s baby naming ceremony. It was perfect. You totally got the sort of day we were trying to create and your ideas were awesome. Everyone loved the “wishes” tree. It was a really smart way of making everyone feel included and involved. 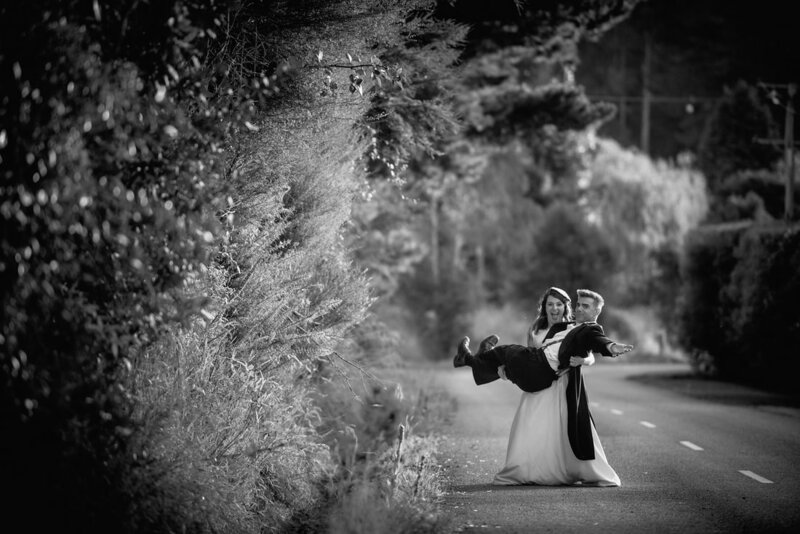 Your ceremony was lovely… perfectly pitched and personal. Massively appreciated. 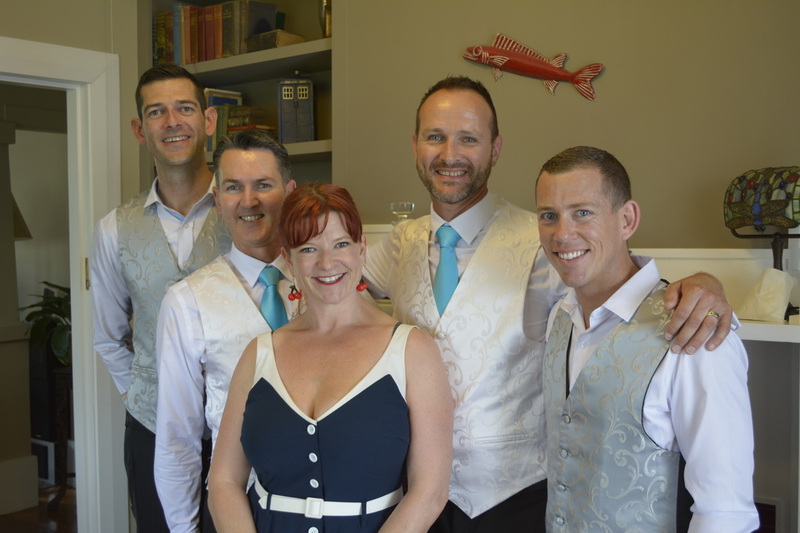 Penny Ashton was our choice of celebrant for our nuptials. Penny delivered a professional, attentive yet relaxed service that encapsulated everything we had requested. Penny wrote lovely prose that captured the essence of our stories perfectly. Penny created a unique and distinctive ceremony. It was not formulaic and she conducted the ceremony with decorum and just the right touch of humour. We have no hesitation in recommending Penny. Penny, thank you for making our ceremony so very memorable and special. It was just perfect - romantic, personal and touching. You really understood us as a couple and we loved the subtle humour running through it. It was unique, moving and expertly done. So many people commented on how much they enjoyed the ceremony! Thank you for such a warm and spirited start to our big day and the rest of our lives. Penny, you're a gem! Penny was amazing in so many ways! Weddings are actually pretty stressful events for the Bride & Groom, and Penny was fantastic both in her advice and relaxed capability leading up to the ceremony, and in her unique energy and humour on the actual day. She was also an enormous hit with our guests, her humour bringing together family and friends alike in a refreshingly honest and fun style. Parents, kids, workmates everyone in attendance loved her and I'm proud to say how many people said those golden words "that was the best wedding I've ever been to". We just wanted to say a huge thank you for our amazing wedding ceremony. We have had so many compliments on how funny and entertaining you were and the ceremony was, how you it seemed like you really knew us and it made every female over 40 cry. You really set the tone for our day and it was fantastic. We couldn’t have asked for better. Our wedding was a complete surprise to our family and friends, (under the guise of a 50th birthday celebration!). 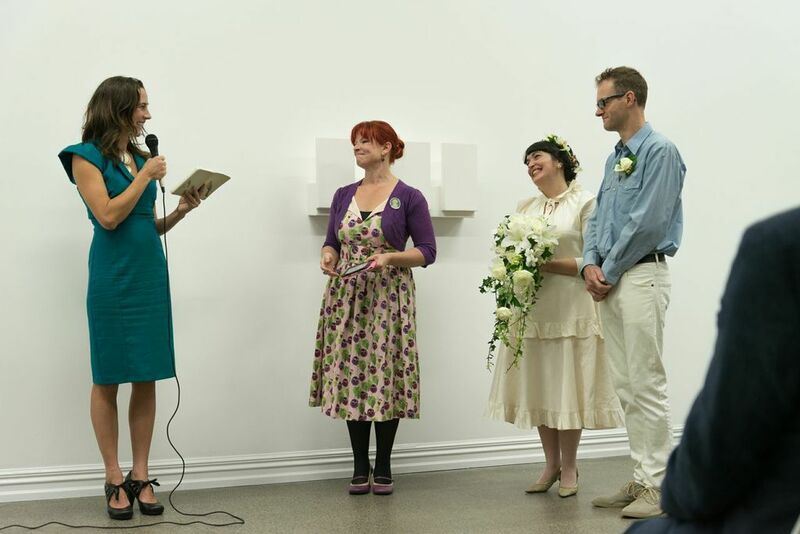 As such, we wanted a celebrant who was fresh, quirky, contemporary, creative and grounded. The decision was easy upon finding Penny who made our day even more special, fun and meaningful than we could ever have imagined. We couldn’t recommend Penny’s services highly enough - so professional yet easy going; so passionate, yet stress free, with a touch of flair, creativity and madness everyone needs on their special day. Matt and I searched high and low for a celebrant. We didn't want stuffy and boring, but we didn't want anything too obscure. We wanted fun, warm and entertaining. Boy did we get that, and more. Everything flowed easily with Penny right from the beginning, she really is a pro. Our ceremony was a master piece of our lives together. We had a blast. Everyone was captivated. We laughed and cried and laughed and laughed. It wasn't just us who enjoyed the experience either, every single one of our 120 guests raved about the ceremony. We cannot recommend Penny enough. Penny was absolutely amazing! If this was TripAdvisor, Penny would get 5 stars. Dealing with Penny has been such an awesome experience. 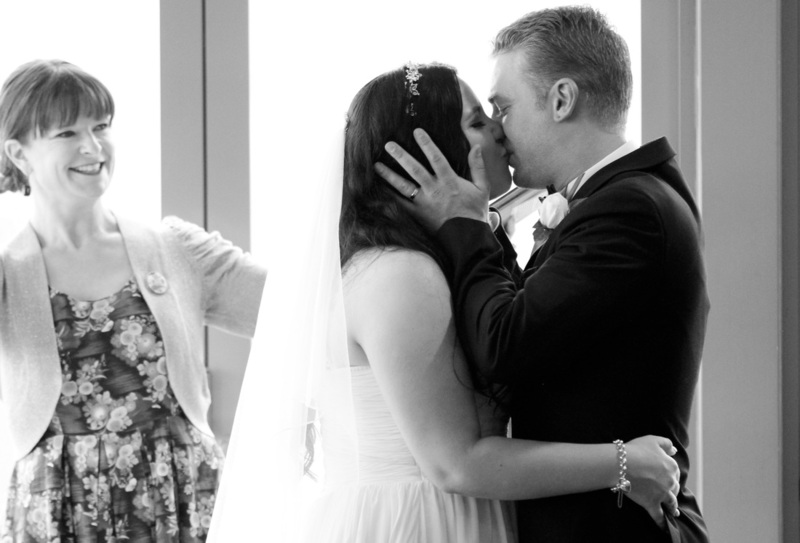 From the beginning when we first met her, right through to our wedding day. Penny really set the tone for the evening and so many people commented on how special she made our ceremony. 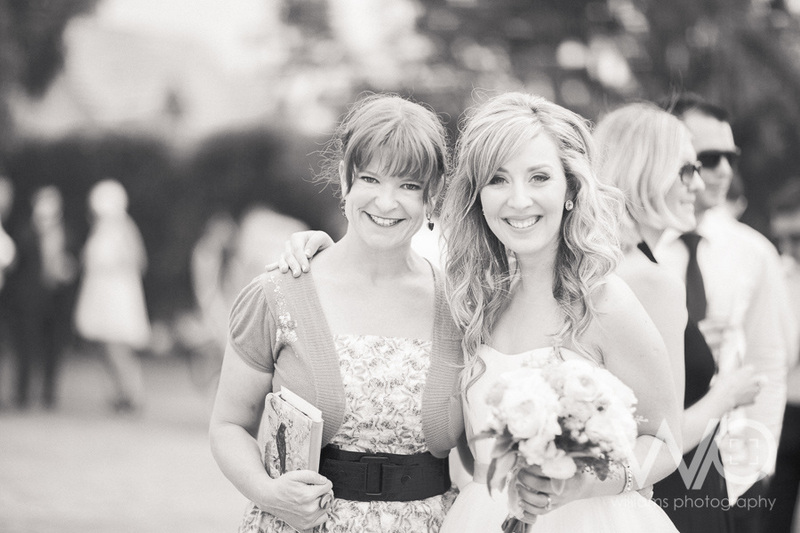 Penny brought humour, love and warmth to our ceremony. She told our story exactly how we would have. It was awesome to have you Penny and if we are to ever renew our vows we know who to ask. 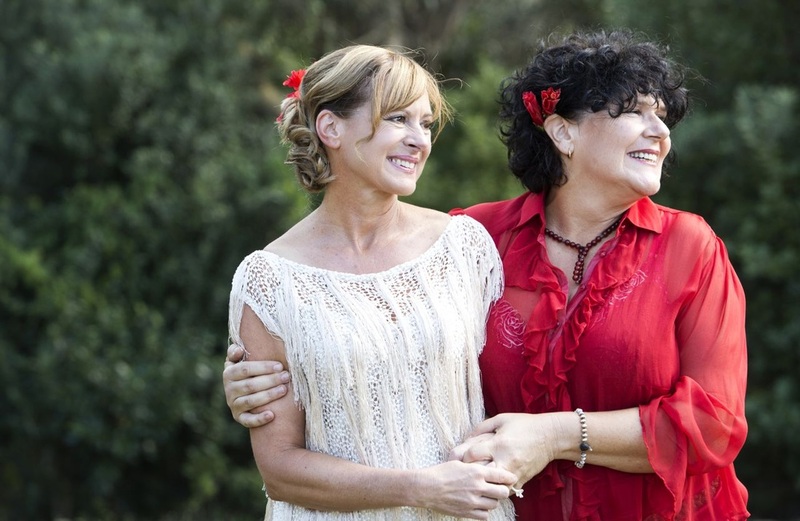 Penny is an amazing celebrant. She made our ceremony so personalised and we felt like she really captured who we are as a couple. Our ceremony was the perfect balance of smiles, laughter and tears. Eddie and I want to thank you for the fabulous ceremony you performed for us on Saturday Afternoon. 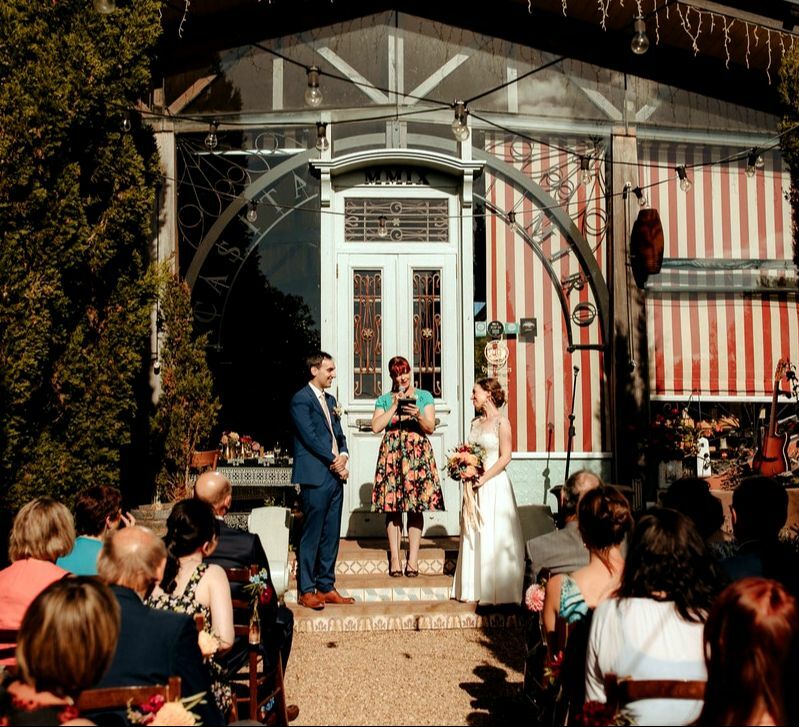 Through a perfect balance of witty and amusing anecdotes and the poignancy of the vows and readings you were able to put us and our guests at great ease and make it a truly memorable day for us! Mark. 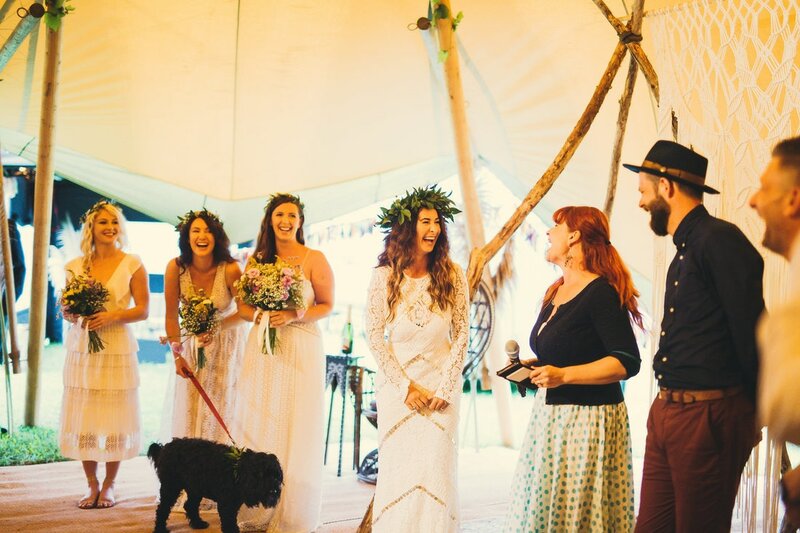 We could not have asked for anything more, the way you deliver the ceremony adding little bits, in some cases large bits from our friends that couldn't make it, making us feel so at ease so happy and delivering many laughs. A massive thank you for making it so special for Hilary, myself, family and friends. Penny thank you so much for been the most superbly wonderful celebrant. Our ceremony was just perfect, so many of our guests commented on how brilliant you were and that it was the best wedding ceremony they had ever attended. You have the fantastic ability to not only create laughs but also tears. Cannot thank you enough it truly exceed our expectations. 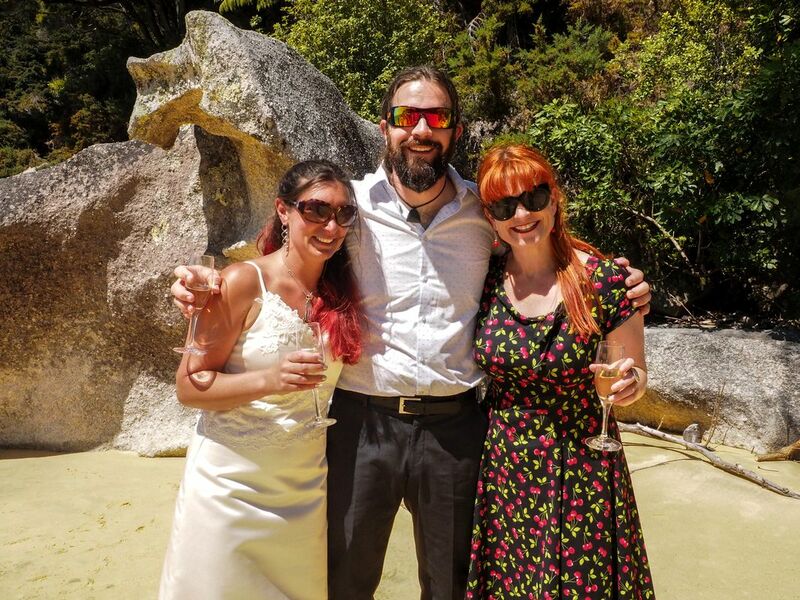 We would like to sincerely thank Penny for traveling down to Tauranga (the weekend before her own wedding) to provide us with the most wonderful wedding ceremony. She promised us that we would laugh and cry - and that we did. She worked with what we provided in our questionnaire in a beautiful way, adding wonderful humour to our stories. I would have to say that Penny is an incredibly patient woman. We weren't the most forthcoming when it came to opening up and sharing our lives, but Penny helped us to think about and share all the special moments in our lives up until our wonderful wedding. She made Justin feel at ease while he waited for me to arrive and was wonderful with our 4 and 5 year old nephews who were our ring bearers, and our 7 year old niece who was our flower girl. 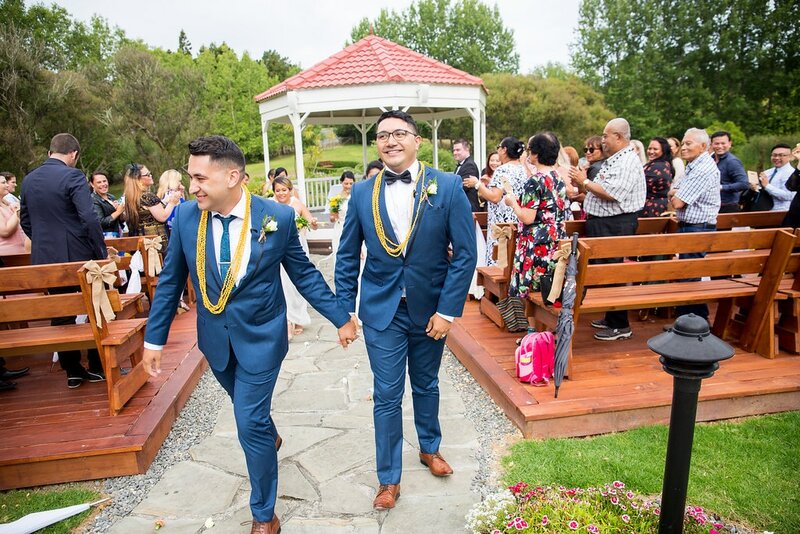 So many guests commented that ours was the best wedding ceremony that they had ever witnessed, because it was truly about us - nothing lovey dovey. It was truly special to us and showed that she had gained an understanding of us as a couple. 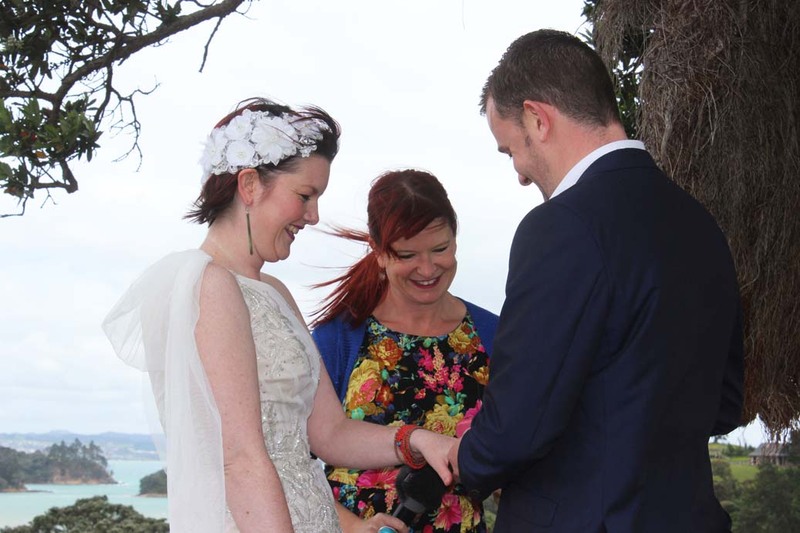 If you are considering a marriage celebrant, my husband and I would highly recommend Penny Ashton.. The ceremony itself was carefully crafted and beautifully delivered. She included anecdotes and readings from our friends, and other moving references of her own choosing. The entire proceeding, from start to finish, was perfectly paced, and more intimate and memorable than we could have ever imagined. Without doubt, Penny is an extremely talented and personable individual. She made our wedding day special and unique, and we would wholeheartedly recommend her to any couple planning on getting married. After flicking through several pages of celebrants we finally found the one we wanted, Penny. 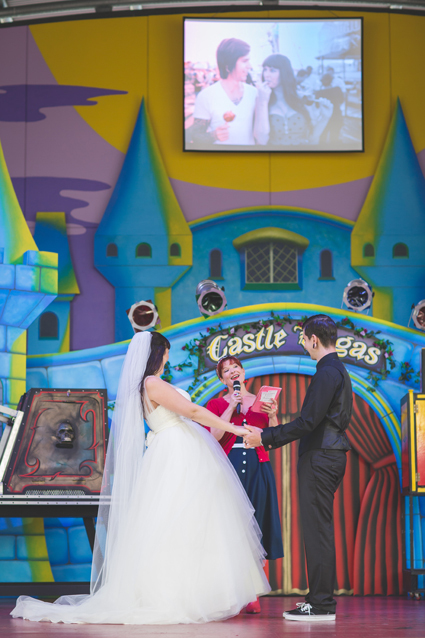 We wanted a ceremony that wouldn’t bore our guests, we wanted them to be entertained and that is what we got with Penny. She tailored the ceremony to reflect our personalities and the questionnaire she had us fill out was an experience in itself. The ceremony was totally unique and included stories that Penny had gathered from friends and family about us as a couple. It was lovely to hear such kind words spoken. Penny had our guest laughing the whole way through which really set the mood for the rest of the day which is exactly what we wanted. Several guests told us it was the best ceremony they had ever been to. We absolutely recommend Penny for any couple who want a fun, unique ceremony that will definitely be remembered by everyone attending. Thank you a million times over for making our wedding day what it was and a ceremony that went above and beyond our expectations. You added humour, love and sincerity in all the right ways and the combination was just perfect. The comments by everyone afterwards were glowing reviews of how you pulled it off and how perfect you were. 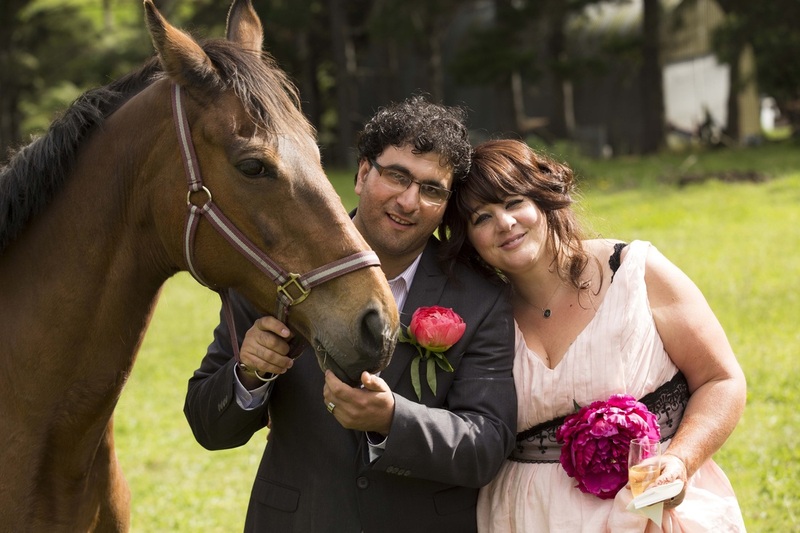 "The best wedding ceremony I have ever attended" was said a hundred times over. Certainly a day I will never forget and we could never thank you enough. Thank you, thank you, thank you! Our ceremony was just perfect, we loved the way you told our story with a touch of humour and a lot of heart. You were helpful the whole way through and took the time to help with any questions we had and get to know loads of information about us. The way you brought everything together was just great and we loved the little unexpected quotes from our friends and family." I just wanted to thank you so much for being the celebrant for our wedding. You struck the perfect balance between laughter and seriousness, which just fitted us exactly. I can’t tell you how many phone calls and emails we’ve received since the wedding saying our much people absolutely loved it… without exception people said it was the best wedding they had ever been to. So many people commented on how brilliant you were. Thank you for making our day one of a kind, a surprise 50th boat party turned into a magnificent surprise wedding for the guests hosted by one truly professional celebrant. We appreciate the way that you made us feel relaxed and they way you incorporated all that we wanted and made our moment special and seamless. From the moment we first communicated till the last word of your awesome service you were outstanding. Thank you again for making this great day what it was, it wouldn’t have been the same without the Hot Pink Celebrant!!!! 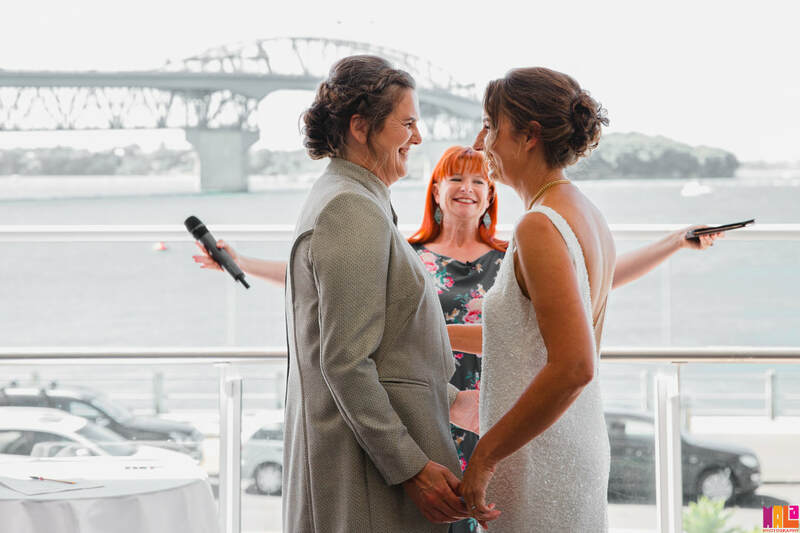 As soon as we got engaged we knew that we wanted Penny as our celebrant, and we couldn't be happier with the whole experience. In the lead up to the wedding Penny's relaxed no-drama approach was just what we needed to calm our nerves. We got a ceremony the captured our personalities to a tee. Penny was warm and funny without stealing the spotlight. We got lots of comments from guests about how she got the tone just right for us. From the get-go, Penny was warm, easy to talk to, and most importantly, honest. 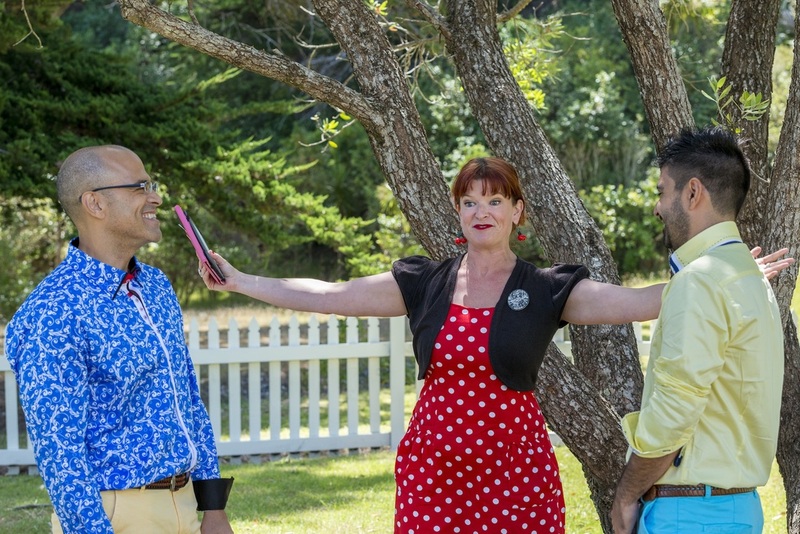 She made the guests laugh, A LOT, and many said Penny was the best celebrant they had seen officiate a wedding. I absolutely loved her. She suited the day so well and I felt totally comfortable in her presence. My husband and I think that our previous celebrant was destined to pull out, just so that we could be married by Penny. It must have been fate! I just wanted to thank you for the wonderful job you made of our wedding. You were funny, fresh and so easy to listen to. You made our wedding very very special and managed to make it "just us". I have had a lot of people ask me who you are and where we found you. Thanks you again, Chris Berry. Penny was outstanding to work with, her ceremony had the perfect balance of everyone smiling, laughing and shedding a few tears the whole way through it. Everyone said that was the best ceremony they had seen and our friends now want to use her for their wedding! She respected us as a couple and made our love shine through.. just brilliant!